Another update today with my star dress, you deserve it! How about your day? Mine so boring, like always, with all of my books here. In two weeks about i'll have ''holidays'' YESSSS! Can't wait for that moment. Your dress is too cute and I love that jacket on you. BTW NEW POST in my blog.Hope u'll stop by!! 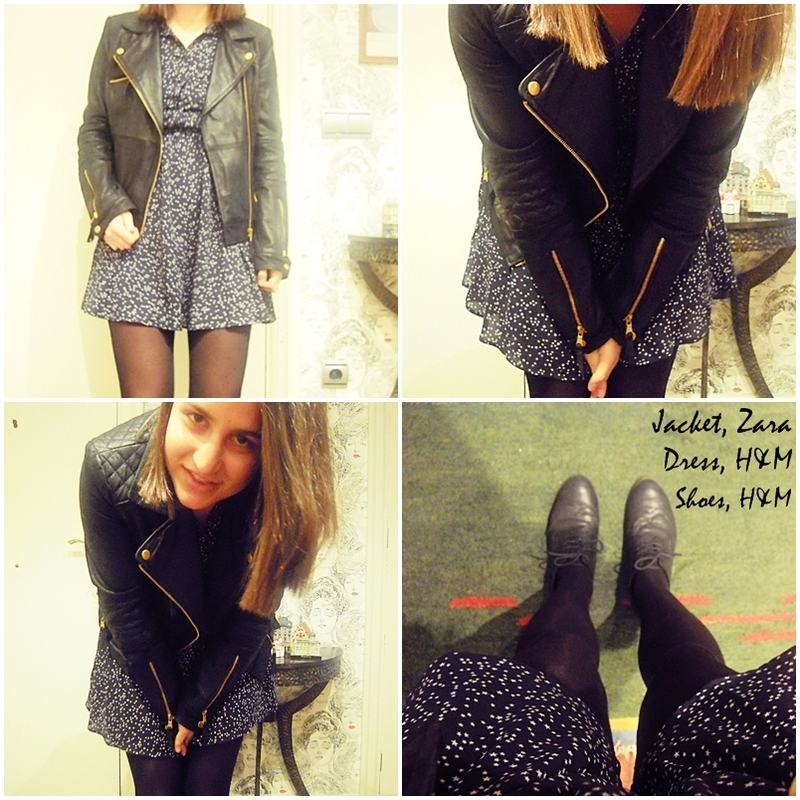 Your dress is so cute and I love the jacket! Great jacket! Love the edginess it gives! Ahh I have studying to do too! But I love that quilted jacket!! Love your jacket!! pretty outfit with the little dress! I love your jacket,thats perfect! And so cut..
the jacket rocks! so does the dress.